Norma Cheryda Aguila-Valdaliso wrote: 'Oh my God. God is great. God is good. 'This has left me with so much faith - God is watching over us always. 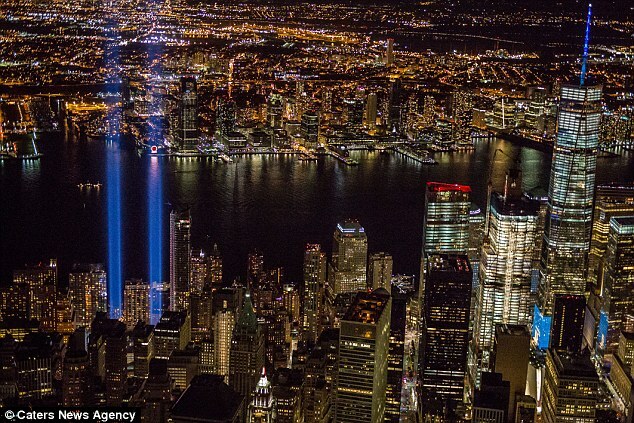 Like countless others, a freelance photographer snapped a photo of the Tribute in Light at the World Trade Center site. 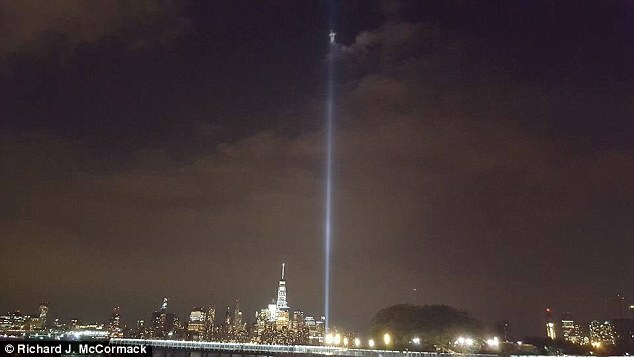 But Rich McCormack from Jersey City got more than he bargained for when he snapped the towers of light beaming into the sky last week. Cristina Fontanelli said: Oh my goodness. Richard - incredible. So many signs and wonders. 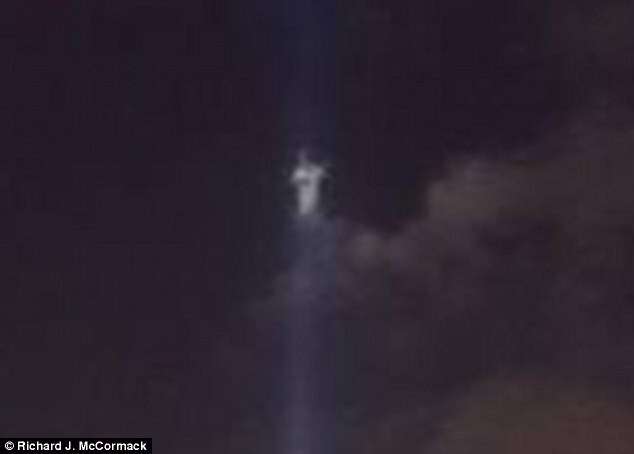 While some questioned its validity, saying it had been photoshopped or even placed there as a hologram by the government, Mr McCormack said he hadn't tampered with the image. His friends leaped to his defense, describing him as 'God's middle man' for capturing the 'miracle'.